PAID OFF CDD! 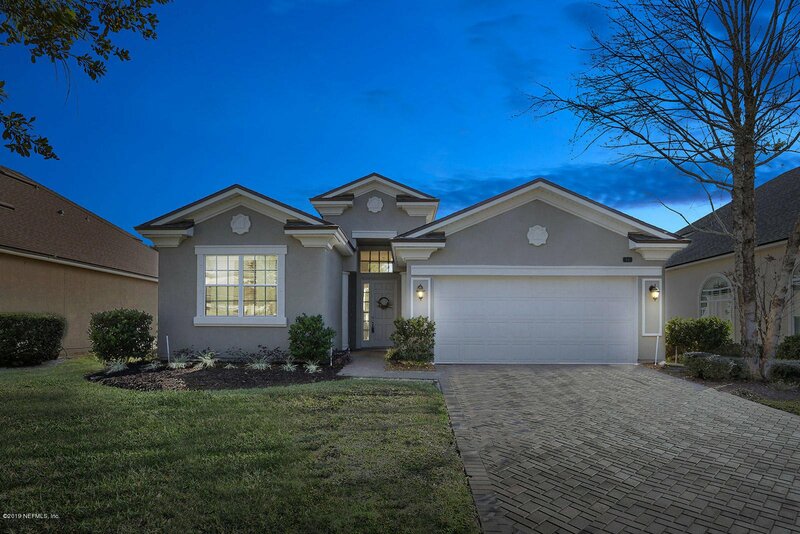 Rare opportunity to live in gated Coastal Oaks and live the lifestyle that include the Coastal Oaks amenities as well as Nocatee amenities. This ranch style home features 3 bedrooms, 2.5 bathrooms, office and open floorplan. Walk in and immediately see the soaring ceilings and spacious foyer. Two bedrooms (one on the right, one on the left). Upgraded Office to feature bead board. Great gas range eat-in kitchen with solid surface countertops overlooking the family room. Open the sliders to a screened lanai for indoor/outdoor entertaining. Master bedroom with his/hers closets leading to double vanity bathroom, spacious shower, and tub. The Storm Room is one of the closets with reinforced surround. Two car garage with garage door openers. Washer and Dryer convey. Listing courtesy of WATSON REALTY CORP. Selling Office: MEMORY HOPKINS REAL ESTATE.